Premium Wood & Padded Seats Our US Made Solid Wood Seats are sure to outlast the competition's cheap plywood seats. Padded seats are also US Made utilizing American made foam. Dimensions: 17" W x 32" H x 19 1/2/5" D ; Seat Height: 18"
Seating Masters' Metal Cross Back Chair features a modern design at a great price that is sure to add an air of grace to any environment. Made to withstand the stress of use in a commercial environment, this chair is constructed of the finest materials and is sure to serve your establishment for years to come. 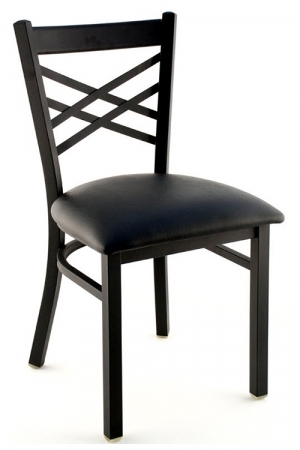 In addition to its beauty and durability, Seating Masters' Metal Cross Back Chair can be customized to fit your venue with an array of different options. 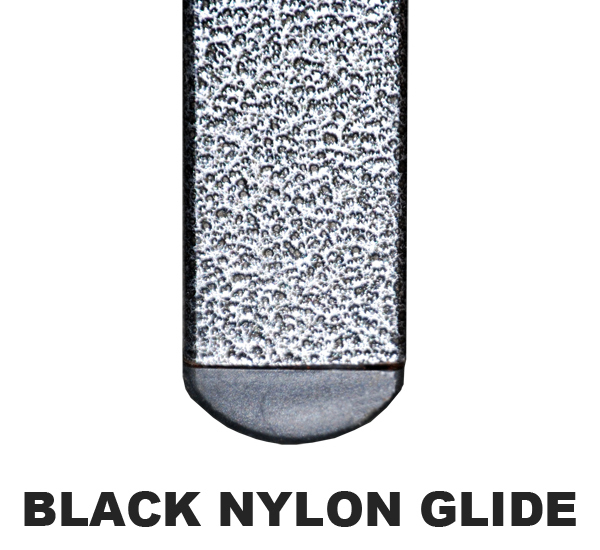 It comes standard with a black sandblast frame finish, plastic glides and a padded seat. You can choose from several other frame finishes and there is an array of vinyl and fabric seat upholstery options to choose from. The chair is also available with a wooden seat. Our wood seats are comprised of solid wood rather than the cheap plywood employed by the competition. Pair this chair with Seating Masters' matching Metal Cross Back Bar Stool to complete the cohesive look you desire for your venue. We employ the finest materials and American construction knowhow to ensure that these chairs will stand the test of time no matter how much stress they are put under. We start with premium grade hardwood and solid wood corner blocks that are bolstered by two heavy duty wood bolts and four wood screws, allowing for an efficient distribution of pressure throughout the frame. We ensure that these chairs maintain their form by gluing and screwing all joints and connecting them with mortise and tenon. Durable wood bolts are also employed to secure the legs to the seat pan. 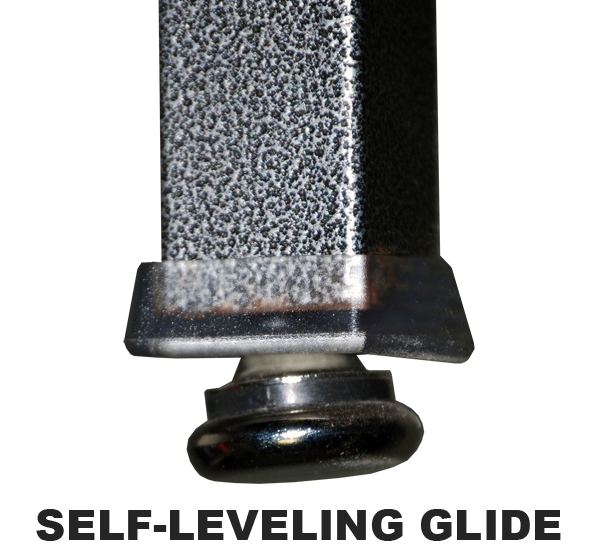 We reinforce all the chair's critical pressure points with heavy duty L brackets. Lastly, our seven stage staining process ensures that these chairs will maintain their beautiful finish in a busy commercial environment. 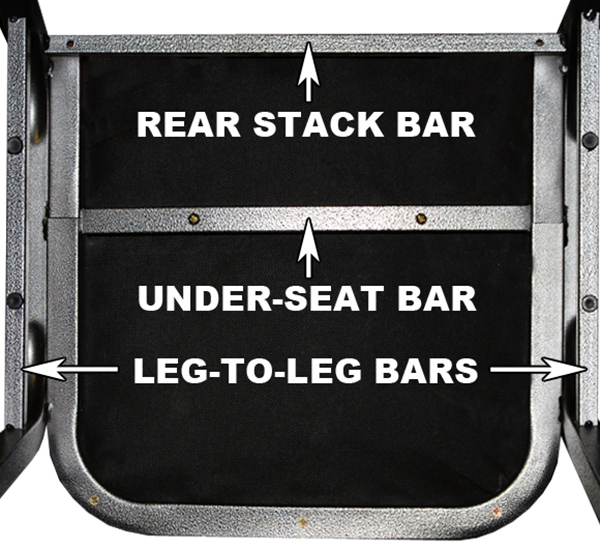 Our Premium stack chairs include a booted, self-leveling metal glides and not the generic plastic glides. 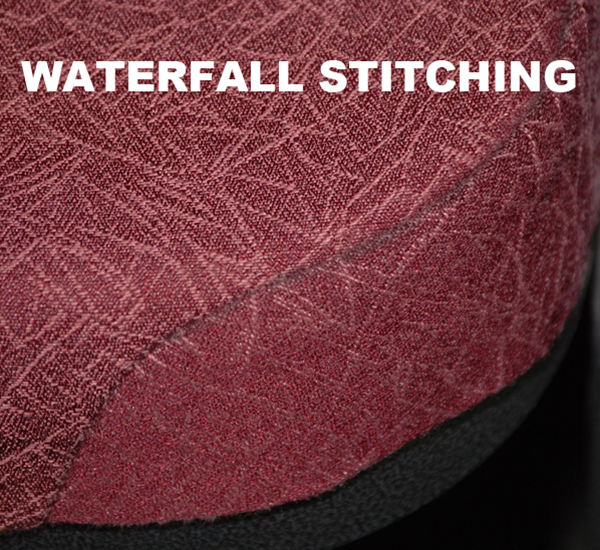 Our stack chairs include premium boxed seat with waterfall stitching and 2 support bars for extra durability. Back Rest Strength Test - 150 lbs. Functional - PASS, 250lbs. Proof - PASS There is no loss of serviceability to the chair. Drop Test - 225 lb. Functional Drop Weight- PASS, 300 lbs. Proof Drop Weight - PASS No structural breakage or loss of serviceability. Seating Impact Test - 165 lbs. 100,000 cycles - PASS No loss of serviceability to the chair after completion of both the Impact and Load Ease tests. Stability Test - Front- 21 lbs. to tip, Rear- 45 lbs. to tip - PASS The chair will not tip over as a result of the force application. Back Durability Test - 75 lbs. applied to back - 80,000 cycles - PASS No structural breakage or loss of serviceability. Leg Strength Test - 150 lbs. Functional Load - PASS, 250 lbs. Proof Load - PASS No loss of serviceability to the chair. Why buy BIFMA-approved Furniture? Knowing that the furniture you are purchasing is BIFMA-approved provides you with the peace of mind that it is durable and built to a professional standard. BIFMA seeks to provide safe, healthy and sustainable environments by subjecting furniture to these tests. Furniture which undergoes BIFMA testing and obtains the organization's approval is likely to be more productive and safe.